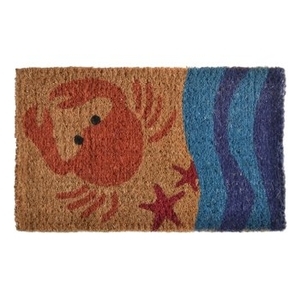 This coastal doormat says, "Welcome!" Constructed from durable coir/vinyl, this doormat is bound to give your guests a warm beachy feeling with its beautiful blue dolphins. Liora Manne Frontporch Crabs Indoor/Outdoor Rug - Blue, 24" By 36"